The Khitan people who lived in northern China during the 10th through 13th centuries spoke the now extinct, and poorly understood, Khitan language. For me, the most intriguing thing about the Khitan language is that it was written using two different writing systems. The "Khitan large script" is a logographic/syllabic script derived from and imitating Chinese characters (see How Complex is Tangut ? for a discussion of the relative complexities of the Tangut, Jurchen and Khitan large scripts). It comprises several hundred characters that each have a distinct logographic meaning or syllabic pronunciation. 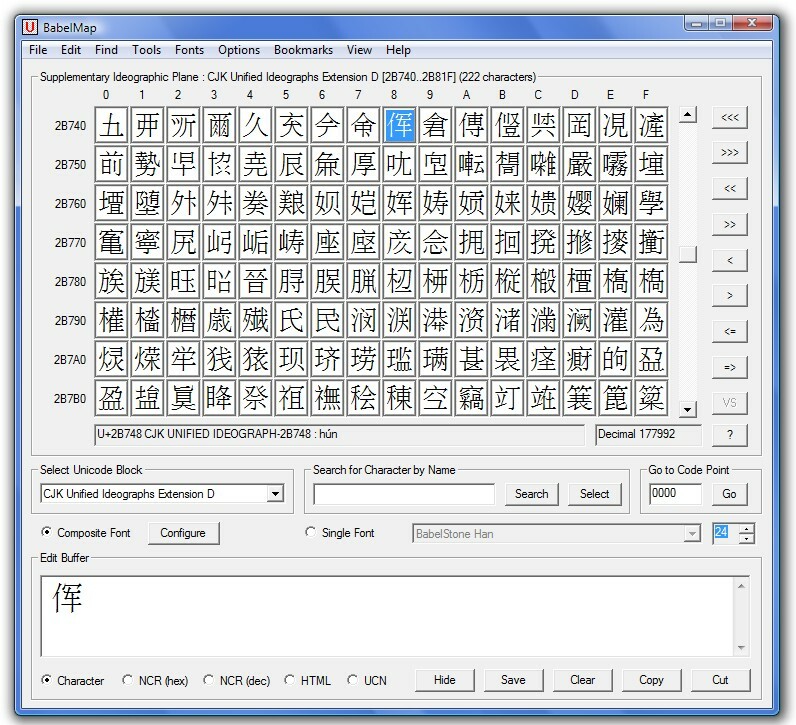 These characters are not only similar in form and construction to Chinese characters, but up to 30% of the known Khitan large characters are borrowed directly from Chinese for use as phonetic borrowings or to represent borrowed words from Chinese (see for example the borrowed characters 皇帝 "emperor" and 囯 "country" in the Memorial of the Prince of the North shown below). 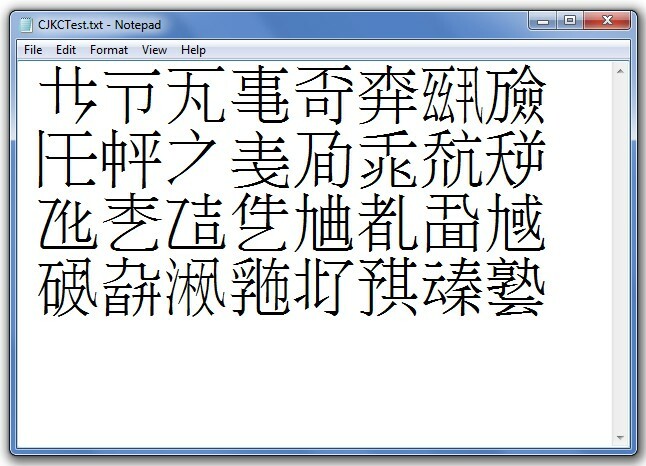 Some of the characters in the later Jurchen script appear to be derived from Khitan large characters, and have a common pronunciation or meaning. 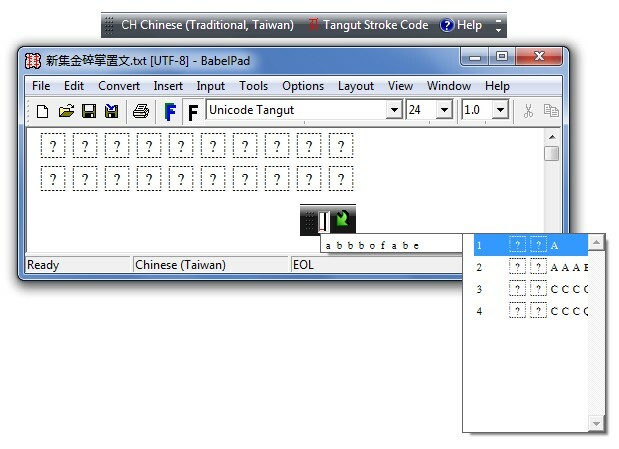 The "Khitan small script" is a mixed writing system that mostly comprises phonetic elements that are joined together in a rectangular phonographic block that represents the pronunciation of a word, together with a relatively small number of logographic characters that are used to represent frequently used vocabulary such as numbers and the cardinal directions. 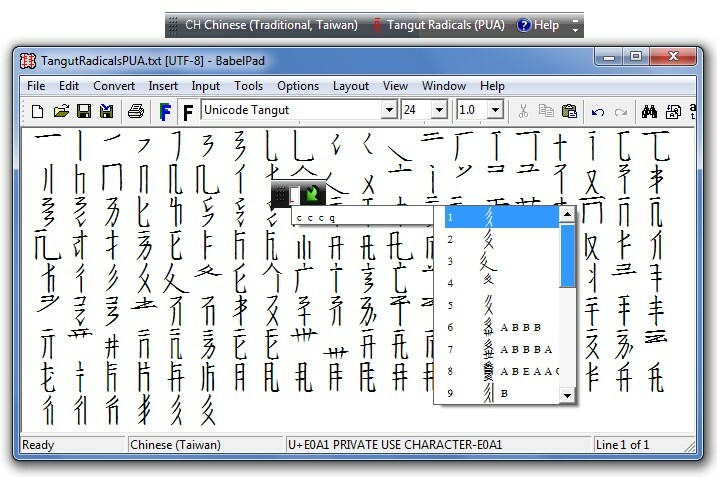 The phonetic elements that make up phonograms appear to be derived from Chinese characters, and some of them are the same as Khitan large characters, although none of the Khitan small script logographic characters are the same as the corresponding Khitan large script logographic characters. 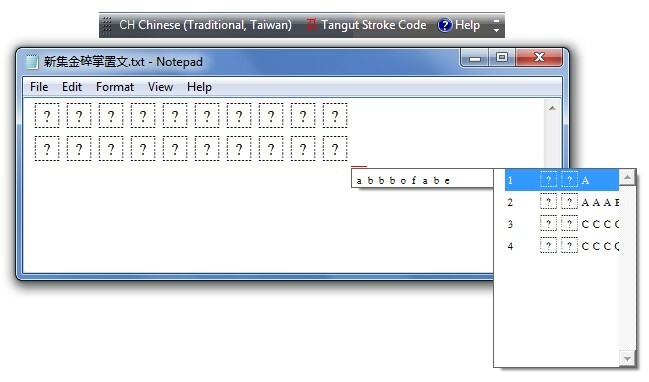 The phonetic elements are arranged in groups of one through seven characters as shown below. Our understanding of the two Khitan scripts, and the language they were used to write, is severely limited by the lack of any contemporary dictionaries or glossaries of the Khitan language. The Tangut people were contemporaneous with the Khitan, but they lived in the more arid region to the west of the Khitan territory, and large numbers of manuscripts and printed texts in the Tangut script have been found, buried in the sands of the ruins of the Tangut fortress city of Khara-Khoto and elsewhere, including several dictionaries and glossaries that have enabled the Tangut language to be largely deciphered. It is almost certain that the Khitans would also have produced dictionaries and phonological texts, but due to the accidents of geography not a single manuscript or printed text in either Khitan script has survived [not correct — see Addendum A at the end of this post]. What have survived, however, are a fairly large number of stone memorial tablets for members of the Khitan nobility, as well as a number of short inscriptions on various portable artefacts. There are about fifty known monumental inscriptions in the two Khitan scripts, of which about 17 are in the Khitan large script and about 33 are in the Khitan small script, which suggests that the small script was more widely used than the large script, but it is not known why the Khitan people used these two different scripts, or what determined the choice of which script to use. Japanese uses multiple different scripts (kanji, hiragana and katakana), but these are differentiated functionally, and are normally used in conjunction within the same text; whereas the two Khitan scripts appear to be mutually exclusive as they never occur together on the same monument or artefact. 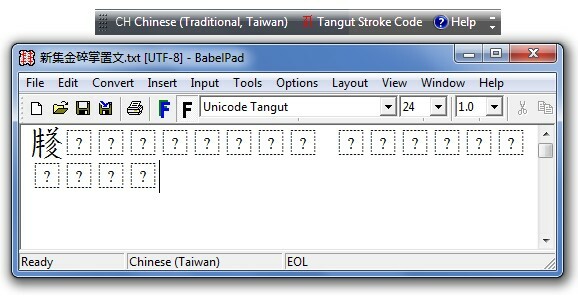 Why then are there two Khitan scripts ? The first idea that springs to mind is the possibility that the two scripts were not used at the same time. Perhaps one script was used first, but was later displaced by the other script. 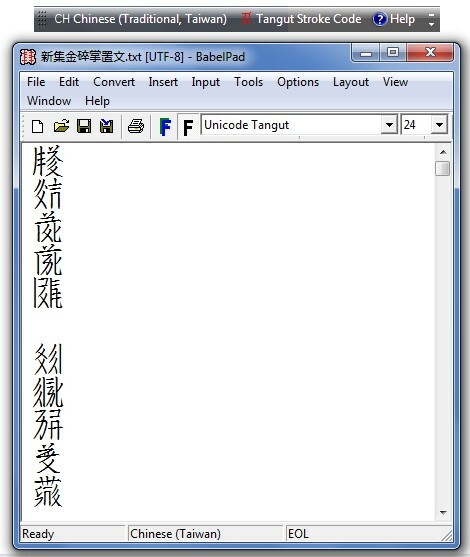 According to the History of the Liao (see juan 2, 75 and 89), the Khitan large script was created by order of Emperor Taizu of Liao with the assistance of Yelü Tulübu 耶律突呂不 and Yelü Lubugu 耶律魯不古, and was introduced at the start of the year 920. 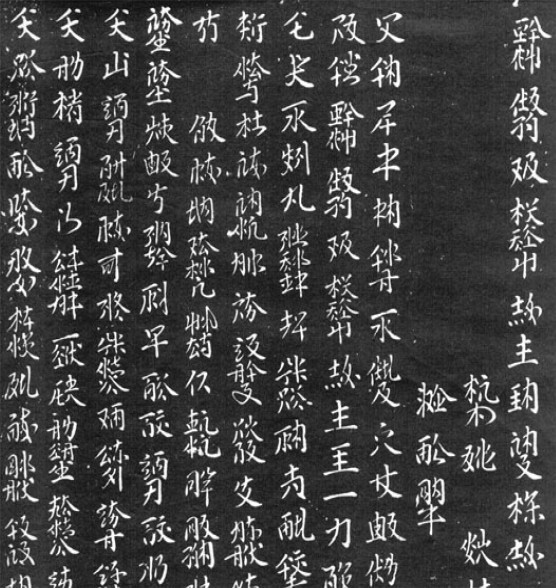 The small script was reputedly devised four or five years later, influenced by the Uyghur script, by Yelü Diela 耶律迭剌, the younger son of Emperor Taizu. 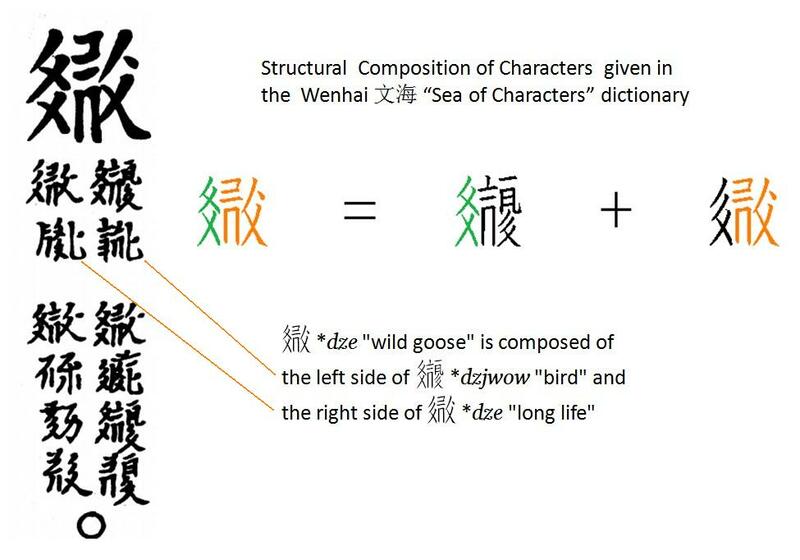 We might therefore expect that the large script was used during the reign of Emperor Taizu, and the phonetic small script gradually become more widely used after the death of the emperor in 926, eventually displacing the more cumbersome large script. However, this is not borne out by the extant corpus of inscriptions. 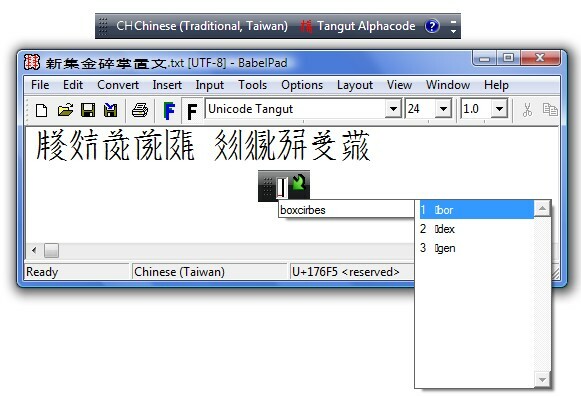 The first noticable feature of the above tables is that there are no dated Khitan inscriptions dating to the time of Emperor Taizu or any time soon after. Except for a single large Khitan inscription dating to 986, the earliest dated inscriptions only date back to the mid 11th century, over a hundred years after the recorded creation of both scripts. Clearly the large script was not displaced soon after the death of Emperor Taizu. On the contrary, the two scripts seem to have coexisted happily for at least two hundred years, from the mid 11th century, through the fall of the Liao dynasty (907–1125), and into the first half of the Jin dynasty (1115–1234). Both scripts seem to have continued in use up to at least the 1170s, with neither displacing the other, and it was only with the proscription of Khitan by the Jurchen court in 1191–1192 that both scripts finally fell out of use. If the Khitan scripts do not show any significant chronological variation, then perhaps they show a different geographical distribution, with the Khitan small script used in one part of the Khitan territory, and the large script in another part of the Khitan territory. But this does not appear to be supported by the distribution map shown below (click on the map to explore it in greater detail). 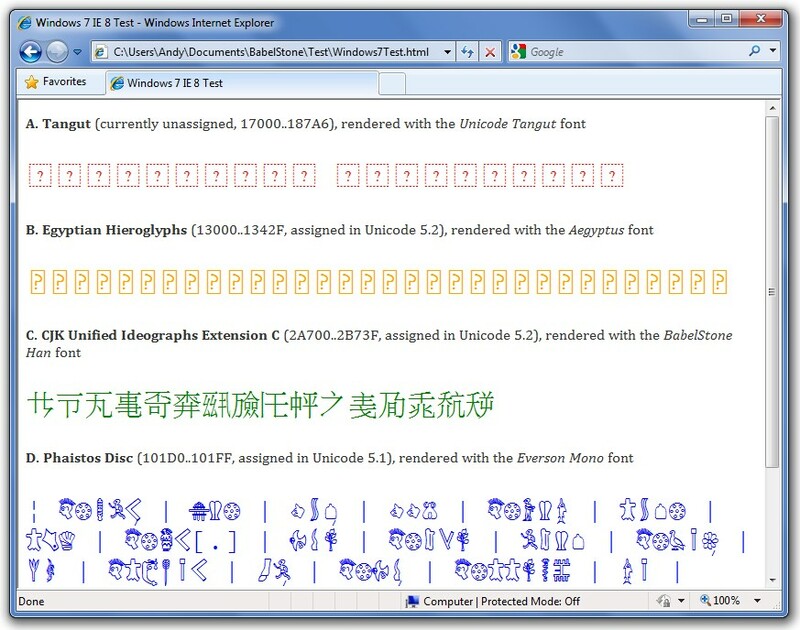 Although there does seem to be some clustering of small script inscriptions, there is no obvious geographical distinction between the two scripts. Perhaps the two scripts had different functions, for example one for writing religious texts and one for writing secular texts, or one for writing official and court documents and one for writing private and personal documents ? But as both scripts were commonly used for exactly the same function (writing memorials for the dead) this theory seems to be a non-starter. Maybe the two different scripts were used by two different sections of the Khitan population. Was one script used by men and the other script used by women ? This seems not to be the case, as both scripts are used to write memorials for both men and women. Was one script used by royalty and nobility, and the other script used by commoners ? Probably not, as there are memorials to princes and princesses in both scripts, although the only memorials to emperors and empresses found so far are in the small script. Were the scripts used by different clans ? Again, there is no evidence for this, as both scripts were used to write memorials for members of the Yelü 耶律 clan. 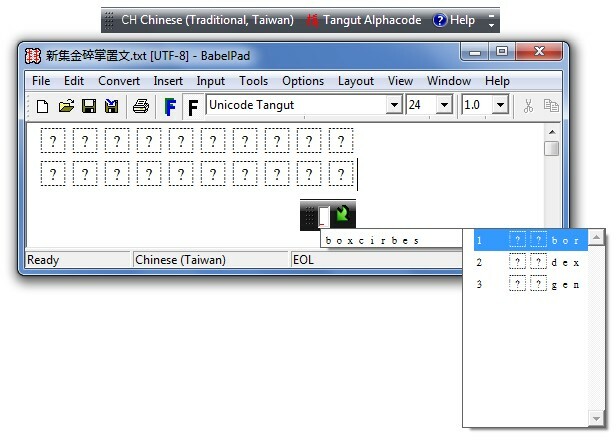 A final possibility is that the two scripts were used to write two different languages or dialects. Although there is no evidence that the Khitans spoke more than a single language, it is a possibility that cannot be discounted. But it is a theory that is difficult to prove or disprove as most of the Khitan words that have been identified in the small script are borrowings from Chinese, and almost all the large Khitan script words for which a reading has been proposed are also borrowings from Chinese. Unbeknownst to me at the time I wrote this post, less than a month earlier, on the 29 November 2010, Viacheslav Zaytsev of the Institute of Oriental Manuscripts [IOM] in Saint Petersburg had announced his identification of a 100+ page manuscript codex as being written in the Large Khitan script. This manuscript had been held at the IOM for many years, but as it was written in a cursive hand no-one had been able to identify the script with certainty. Most experts who had seen the manuscript had thought it was probably written in the Jurchen script, but by carefully comparing the text of the manuscript with memorial inscriptions written in Large Khitan, Zaytsev had been able to identify stretches of text that occured in both, and he was thereby able to prove for the first time that the manuscript was written in the Large Khitan script. This is the first and only manuscript written in either Large or Small Khitan to have been identified. 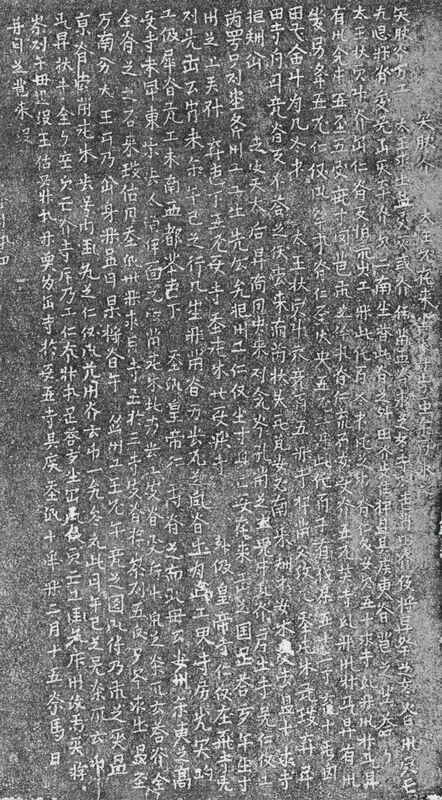 Viacheslav Zaytsev has drawn my attention to the fact that a fragment of a Khitan large script inscription was identified by Wang Ding in 2002. I discuss this fragment in Khitan Miscellanea 1. 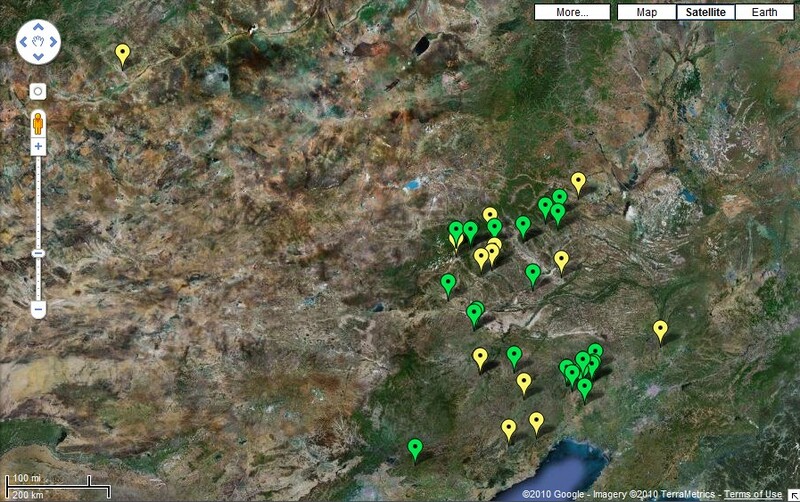 This screenshot of BabelMap is licensed under a Creative Commons Attribution-ShareAlike 3.0 Unported License (CC-BY-SA-3.0) by Andrew West. 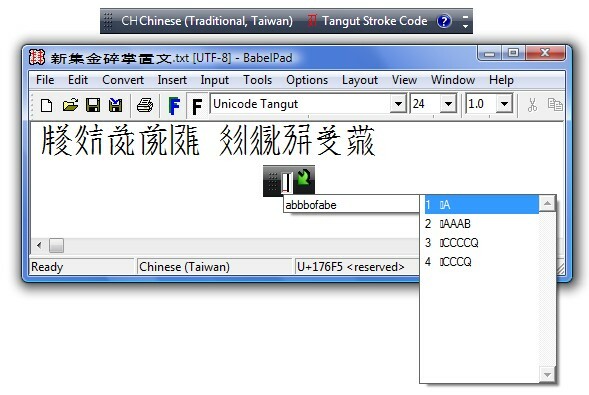 BabelPad and BabelMap were scheduled for release on 11 October, to coincide with the release of Unicode 6.0 on that day, but their release was delayed due to a Blue Screen of Death crash that occured with the beta versions of both BabelMap and BabelPad when the Windows function ExtTextOutW is called within a path bracket, and the selected font is Symbola font version 6.00, and the ETO_GLYPH_INDEX flag is set, and the glyph index passed to the function corresponds to U+1F5FD STATUE OF LIBERTY (this problem only occurs in BabelPad when in Simple Rendering mode, which bypasses Microsoft's Uniscribe rendering engine). 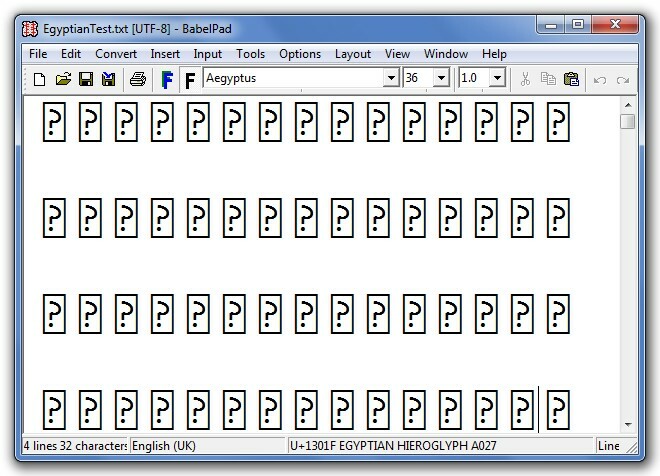 The glyph for U+1F5FD in the Symbola font has a mega-complex glyph outline (which oddly enough is the glyph for an angel, whilst the glyph for the Statue of Liberty is actually at U+FFFED), which probably results in a buffer overrun somewhere within Windows GDI. In order to work around this problem I have had to rewrite, refactor and retest core sections of the source code. 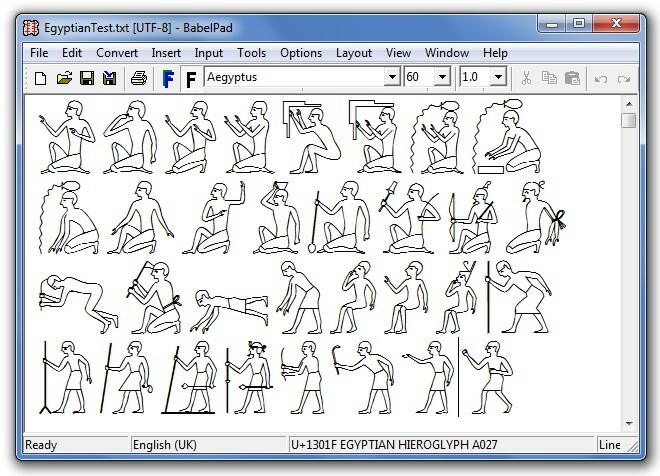 The newly released versions of BabelPad and BabelMap fix the problem described above, and should be safe for use with the Symbola font under normal usage scenarios, but the glyphs for U+1F5FB (MOUNT FUJI) through U+1F5FF (MOYAI) are rendered very slowly because of their extreme complexity (several thousand points for each glyph), resulting in sluggish response in BabelMap when scrolling through the Miscellaneous Symbols And Pictographs block, and potentially extremely sluggish performance in BabelPad. 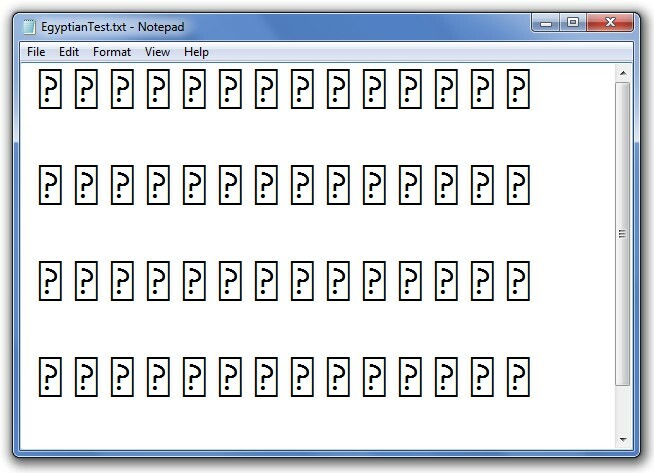 Moreover, the Symbola font may still cause a Blue Screen of Death crash (reporting an infinite loop) on some systems when rendering U+1F5FD STATUE OF LIBERTY at high point sizes with standard Windows applications such as Notepad (my test case is to set Notepad to use the Symbola font at 72 points, and then paste in a string comprising twelve instances of U+1F5FD — my XP machine then blue screens, although my Vista machine is OK). 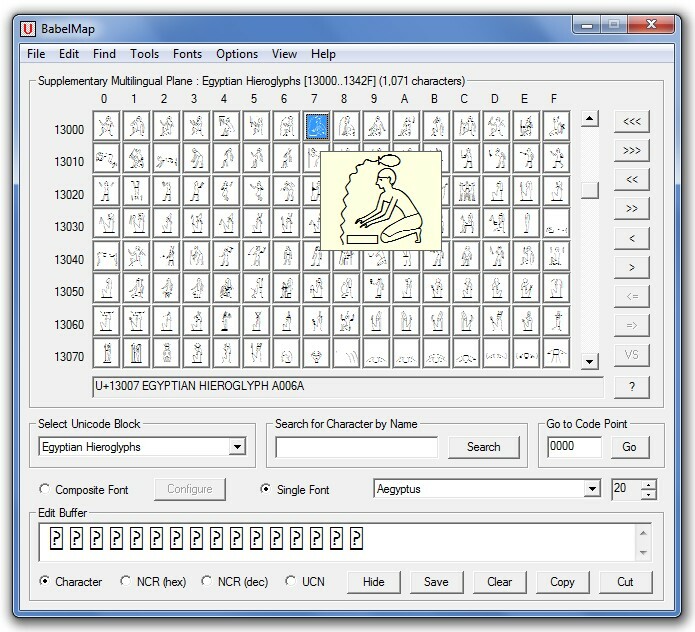 This general Windows-level vulnerability to Symbola version 6.00 means that BabelMap may still blue screen if you insert multiple instances of U+1F5FD into the BabelMap edit buffer, and BabelPad may still blue screen if you attempt to display a document with multiple instances of U+1F5FD at a large point size in Complex Rendering mode (i.e. using Uniscribe). 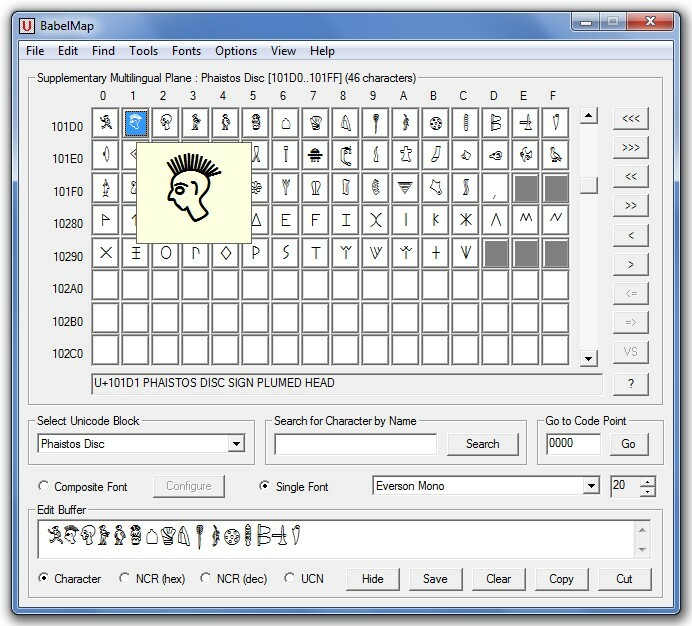 For this reason, you are strongly advised not to install Symbola version 6.00, but if you do install this font I cannot be responsible for any loss or damage incurred due to a system crash when running either BabelPad or BabelMap. 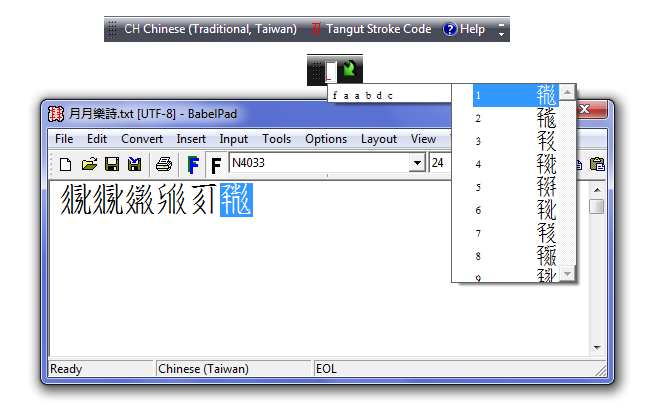 The default script colours when colour coding by script is selected ["Options : Display Colours : Colour Code by Script" from the menu] have been harmonized with the default script colours used for BabelMap, and an option to reset all script colours to their default values has been added to the "Configure Script Colours" dialog (this needs to be selected for the new default colours to be used).